Maternity clothes? 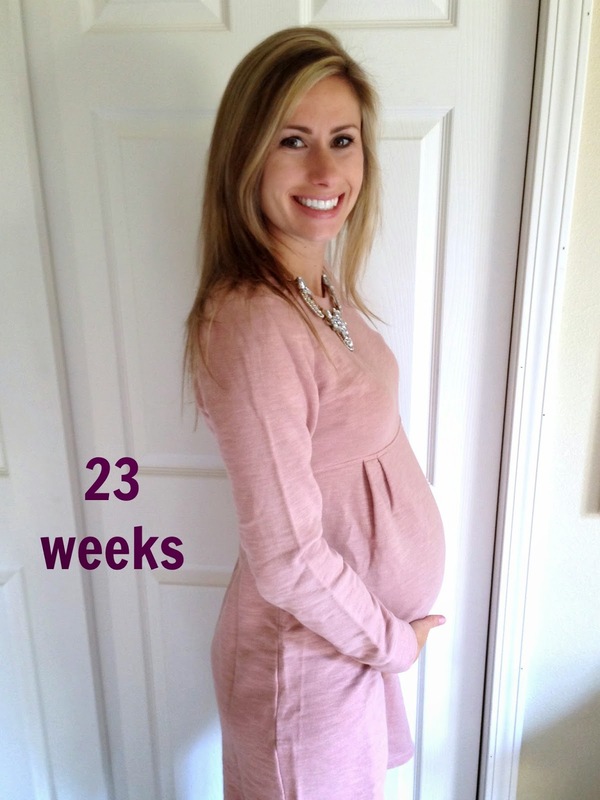 This is another another maternity dress from Gap. Tip: if you order it, it's much shorter than what it shows on the model. Best moment this week: Going to our first wedding and seeing all of our friends from college! Miss Anything? Really can't complain at the moment! Movement: Starting to see him kick from the outside! Food cravings: Anything and everything that we ate in Sonoma. We had great meals at Fig Cafe, Sunflower Caffe and Spinster Sisters...yum! Looking forward to: My brother's wedding this weekend and seeing all of our family. Differences this time around: Nothing noticeable this week! You are looking great!! Your hair looks awesome! I hated those crazy dreams! That dress is adorbs! Gap has such cute preggers stuff! you're literally the cutest pregnant person ever! you're so cute! i'm dying over that dress!